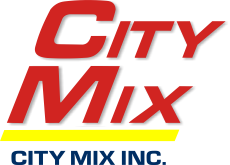 About Us - City Mix Inc.
City Mix has two ready mix concrete batching plants set up in strategic locations within Winnipeg. The original plant is on Nature Park Way in the southwest corner of the city. The second plant is on Redonda Street in the northeast corner of the city. Both locations have close access to many major arteries, allowing us to cover the entire city within a very short time period. With a growing fleet of tandem and tandem/tandem units, we are ready to meet all of your ready mix needs. 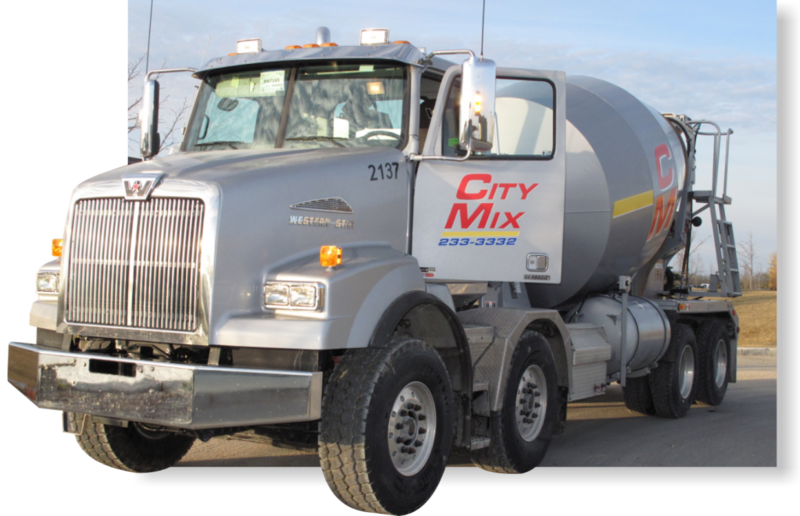 Servicing Winnipeg and surrounding areas of Birds Hill, Oakbank and Stonewall, we are a major ready mix concrete supplier in our service area. With the utilization of cutting edge technology including GPS fleet tracking and fully automated batch plants, our Nature Park Way and Redonda Street locations are the perfect solutions to any ready mix concrete project, large or small. With a full time engineering staff, we have the technical expertise and quality assurance processes to meet even the most stringent requirements. Today we continue to supply many of Winnipeg’s top home builders and general contractors, all of whom require a high strength, highly durable product and also demand strong, flexible customer service.